It feels slightly less raw, the sun has been out, there is hardly any wind. The air is still cold, but the sun is trying hard to take over and establish some order. 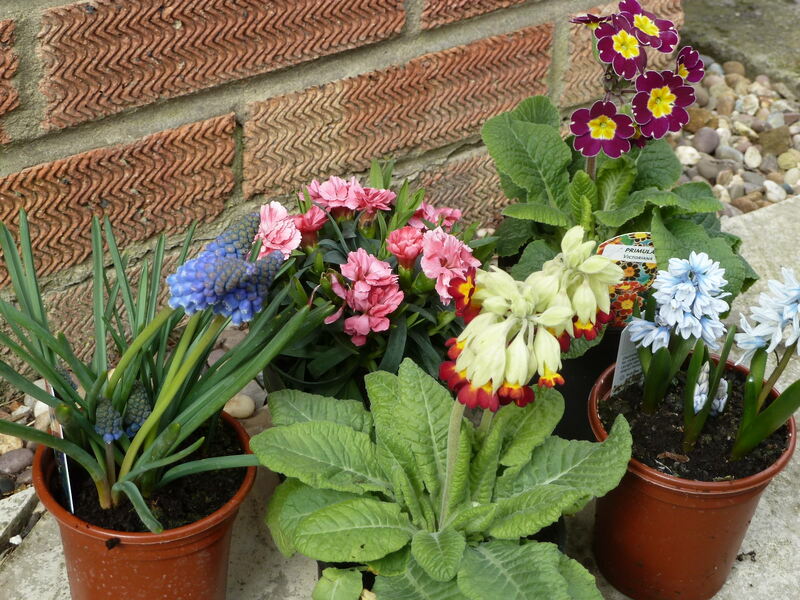 After all, it is spring but we have not really noticed, except that my daffodils, tulips and hyacinths have tried to emerge. Some have withered trying to brace the snow and the frost. 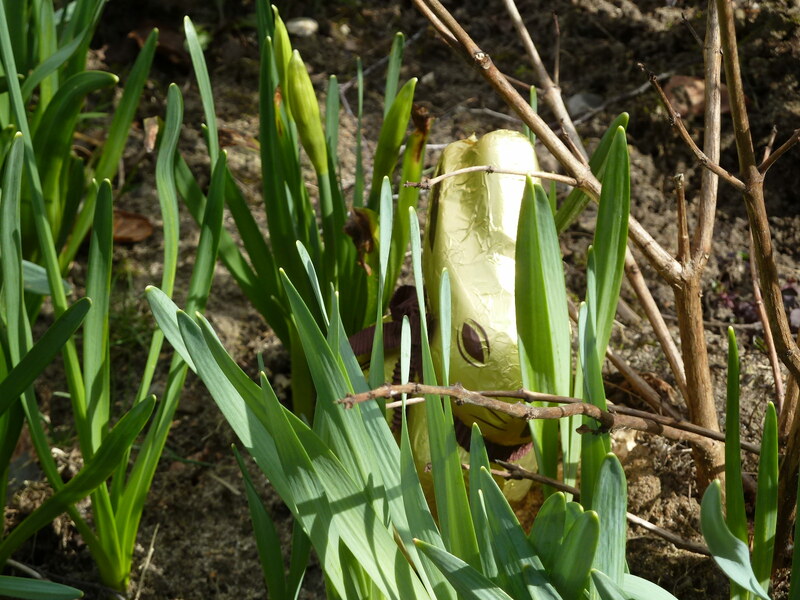 Nevertheless, our Easter bunny found shelter in between the shy daffodils. Today it was sunny, really, and there is hope that we can discard the gloves and the scarves and the boots, we can take out the bicycles from the garage and tentatively plan some rides. There will be spring, and then summer. Yes, Corri, I expect next Summer will be a mild one to compensate us for the awful weather we’ve had so far. Best of Spring to you.